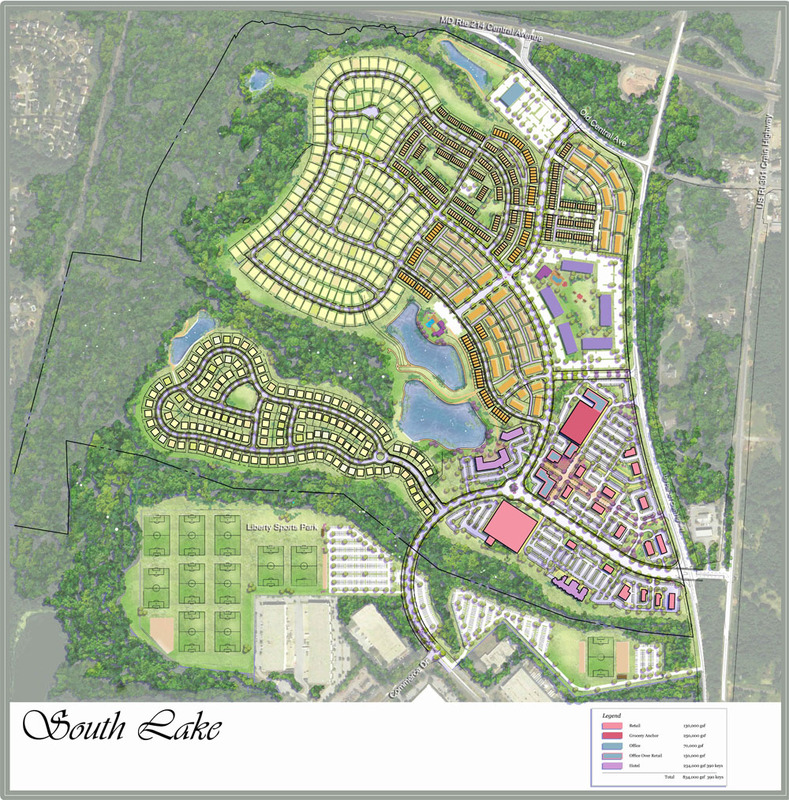 South Lake is +/- 281 acre mixed use development in Bowie, MD. The residential component has 325 apartments, 708 townhomes and 327 single family homes. The commercial development is +/- 65 acres, designed for retail shopping, restaurants, hotels and entertainment. The centerpiece of the development is a large lake with a clubhouse, walking trails, etc. The master development by CRP is a joint venture with NAI Michael. CRP will develop and own the apartment community. The South Lake development was recently annexed to Bowie, MD in eastern Prince George’s County. The community is at the intersection of MD Routes 214 and 301 and provides easy access to Washington, DC, Annapolis, and Baltimore. Located just 7 miles east of the Capital Beltway and the Washington, DC Metro station in Largo and 5 miles south of US 50. The development will connect to a new Prince George’s County sports complex consisting of 11 soccer fields and walking trails. Located in the southwest quadrant of the interchange of Route 214 and Route 301 in Bowie, MD.